The Fleet World Fleet Show at Silverstone in two weeks’ time has been billed as ’the most complete Fleet Show ever’ because of the array of opportunities it offers to fleet decision-makers. The 2015 event on May 12th, which is being sponsored by Barclaycard Fuel+ in association with TMC, has already attracted record numbers of exhibitors and pre-registered visitors. The Show provides a unique combination of test driving the very latest models, plus fleet education with a hugely popular series of fleet-on-fleet workshops, and a large static exhibition representing every facet of the UK fleet industry, which also provides the ideal forum for networking with industry colleagues. This year’s outstanding line-up of exhibitors has increased by 82% over last year’s Show, which itself set new records for the number of visitors, exhibitors and test-drives. Now, the record-breaking event just needs fleet managers to turn out in force on the day to justify its ‘complete show’ billing. Jerry Ramsdale, show director and publisher of Fleet World, said: “This year’s Fleet Show offers the widest possible areas of fleet interest with something for everyone. If you want to learn more about fleet management – we have it covered. If you want to try out the very latest fleet models – there are three tracks for you to try them on. “If you want to appraise some of the most economical ULEVs which are helping registrations of low emission vehicles reach record levels, they are at Silverstone waiting for you. Just make sure you bring your driving licence with you. This year’s Fleet Show will give fleet managers the opportunity to evaluate the very latest conventionally powered vehicles, alongside pure electric and hybrid models, on three circuits of the world-famous Silverstone Grand Prix venue, plus off-road driving on the challenging 4×4 course. Organisers are expecting test drives to increase by 20% over last year’s Show, which itself featured a record number of drives, while there will be many new models available for driving, some for the very first time in the UK. 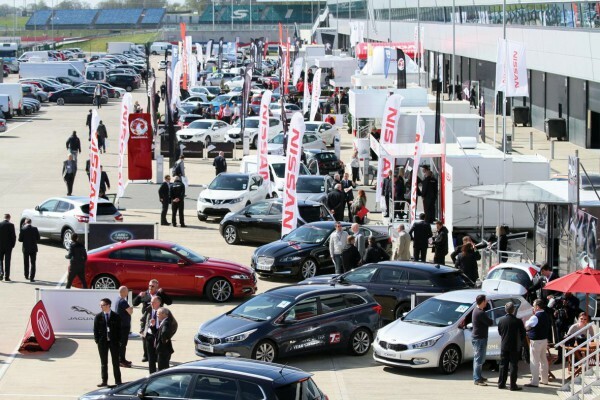 However, the Fleet Show isn’t simply about test driving, and a visit to Silverstone provides an appealing mix of education, networking and static displays that guarantee a day out of the office will not be wasted. Back again by popular demand are the highly successful fleet training sessions introduced last year, which involve a series of interactive workshops run by practising fleet managers. The 30-minute workshops will again tackle key fleet topics and are the perfect forum find out something new in fleet management. Meanwhile, the Silverstone Wing will again play host to a wide-ranging fleet exhibition boasting a diverse array of exhibitors across three halls. This area will also provide Show visitors with the chance to hold face-to-face meetings and socially interact with exhibitors and other visitors alike. Fleet service companies attending include contract hire and leasing suppliers, daily rental companies, fleet management and fleet servicing providers, fleet software suppliers, licence checking companies, recharging infrastructure suppliers, fuel card providers, mileage capture specialists and trade associations. Previous Ayrton Senna: 21 years since his death.